China is very slowly changing their reputation for how they handle copyright infringement. Long known as a place where bootleg DVDs were more common than the real deal, the country is slowly starting to crack down on cases where there is a clear case of plagiarism… when they see fit. 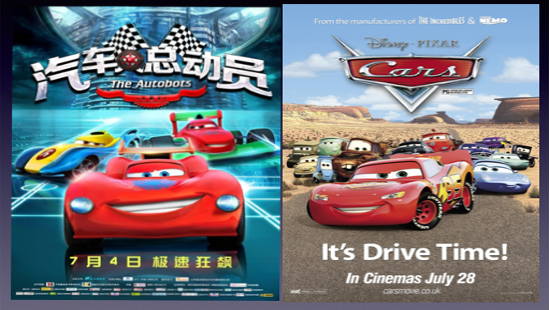 In July 2015, a Chinese studio known as Blue MTV released a film known as “The Autobots” that bore a strong resemblance to Disney/Pars “Cars.” Disney immediately filed a lawsuit with Chinese courts stating “The Autobots” was a direct ripoff of their intellectual property. Based on the posters above, can you blame them? A judge just ruled on the case in December 2016 and found Blue MTV guilty and awarded 1.35 million yuan (roughly $195,000 US) to Disney/Pixar. 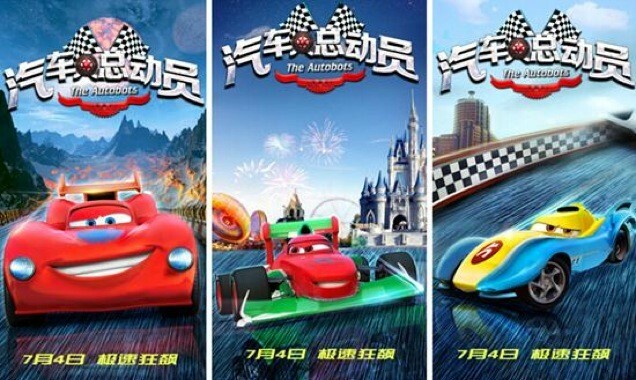 According to the judge, characters known as K1 and K2 bore too similar a resemblance to Lightning McQueen and Francesco Bernoulli in the “Cars” films. Hopefully this trend continues and China cracks down on these knockoffs as it affects all movie studios and theme parks. This entry was posted in Disney and tagged Cars, China, Disney, knockoff, Pixar. Bookmark the permalink. Trackbacks are closed, but you can post a comment.